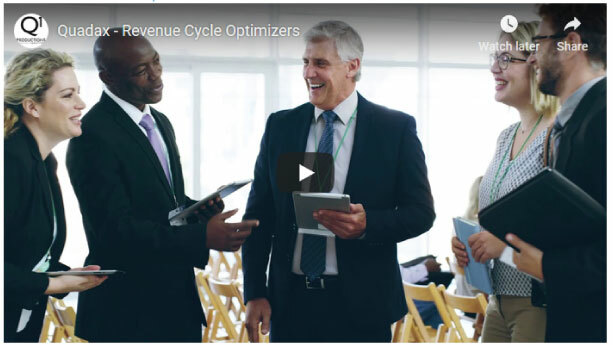 At Quadax, we solve revenue cycle complexity—combining smart technology with superior support and services. We know molecular and genetic testing increases the burdens of obtaining reimbursement due to out-of-network billing challenges along with the growing need to comply with pre-claim/test requirements. While satisfying payer requirements is important, balancing the ever-growing patient’s financial responsibility is paramount. We understand your unique challenges and have expert solutions optimized to deliver maximum reimbursement and minimize costs within your revenue cycle. Whether looking for software, services, or a mix of both, we are the solution provider for your reimbursement needs. To learn more, visit www.quadax.com or follow us on Twitter and LinkedIn. TELCOR is the leader of revenue cycle management software solutions empowering laboratories to improve back office processes by streamlining revenue cycle workflow, reducing labor-intensive processes and operating costs. TELCOR RCM provides visibility to business operations. Reducing labor costs, increasing efficiencies and improving metrics helps laboratories increase collections and improve profitability. Founded in 1981, Analysis Group is one of the largest economics consulting firms, with more than 900 professionals across 14 offices. Analysis Group’s health care experts apply analytical expertise to health economics and outcomes research, clinical research, market access and commercial strategy, and health care policy engagements, as well as drug-safety related engagements in epidemiology. Analysis Group’s internal experts, together with its network of affiliated experts from academia, industry, and government, provide our clients with exceptional breadth and depth of expertise and end-to-end consulting services globally. Hull Associates covers all major global markets, from Europe to Latin America, to Japan, India, and China and our in-country experts are specialized in both the technical knowledge and the relationships to achieve results. BaseCase is the complete value communication platform for the life sciences industry. Our suite of SaaS products enables pharmaceutical and medtech companies to engage more effectively with payers, providers, and healthcare professionals using interactive, data-driven mobile apps, tailored to their setting. Policy Reporter’s proprietary software provides live medical policy updates, along with a host of market access and reimbursement tools. 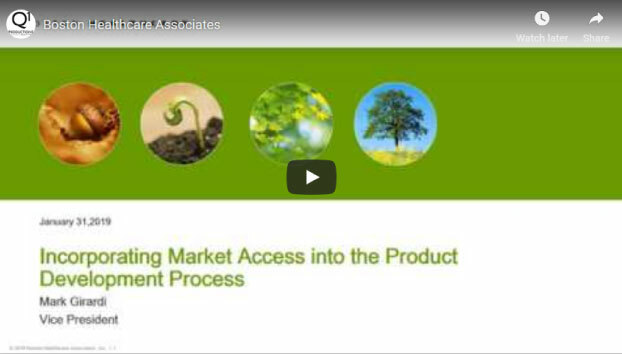 Maximize coverage with Policy Reporter and our suite of Market Access Solutions. Are You Aware When Payers Make Policy Decisions Affecting Your Product? Is Coverage and Reimbursement Critical to Your Success? Canary Insights allows your reimbursement team to be proactive on impacting coverage decisions rather than manually searching commercial, Medicare, Medicaid and technology assessment websites. BE THE FIRST TO KNOW ABOUT COVERAGE DECISIONS IMPACTING YOUR BUSINESS! QURE Healthcare helps diagnostic companies overcome the clinical utility hurdle through high-quality randomized controlled clinical utility trials. Using patient simulations and a nationally representative sample of practicing physicians, QURE efficiently and effectively measures real-world clinical decision-making and the impact of new tests on clinical practice. QURE’s case-mix adjusted CPV® vignettes are a validated, rapid and reliable measure of clinician behavior that eliminate traditional study barriers around sample size, patient confounding factors, site variation and reporting bias. Results from QURE studies are regularly published in the peer-reviewed literature (with results in 6 to 8 months) and featured in coverage and reimbursement dossiers.